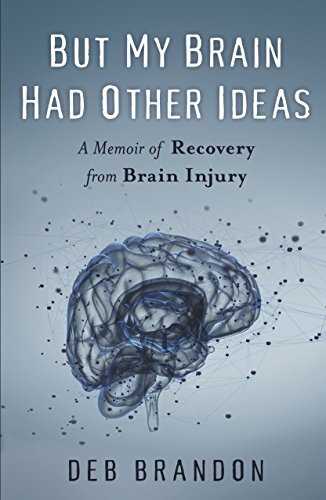 “But My Brain Had Other Ideas: A Memoir of Recovery from Brain Injury” is the story of Deb Brandon’s struggle with cavernous angioma - a brain vessel malformation that can often lead to life threatening cerebral hemorrhage with debilitating repercussions. The author’s intention is to share her perspective so that others can know the trials and tribulations of a person grappling with a brain disorder. Although Brandon’s story is her own and specifically addresses the condition of cavernous angioma, her hospitalizations, surgeries, recoveries and complications are the stories of thousands. Her point of view communicates what it really means to be with pain, fear, anxiety and guilt; difficult emotions that are even more arduous to face in times of grave illness. She recounts what it feels like when a patient becomes just another number to doctors, nurses and even loved ones. And, how, in certain instances, you only have yourself to rely on for survival. In recreating the setting and dialog of her experience, the author weaves a fascinating tale - one in which I was fully absorbed. Many of the memoirs that I have read tend to list life events much like a section from a dry history book. This author “shows” rather that “tells” her story, drawing you into the scenarios so that you are there. At times, Brandon writes in short snippets to describe the symptoms of her disability almost as if she were journaling. Other times, the author’s writing is quite poetic in its verse and communicates more meaning than simple dialog or narration can express. I value Brandon’s responses and thoughts. When she asserts that “(my children) had seen me in the hospital far too much over the past few months,” it rings true for many of us dealing with persistent illness. She addresses the issues associated with frequent hospital stays, worrisome surgical procedures and plenty of other frustrating conditions that families come up against in the face of poor health. I think it is most interesting to observe how differently Brandon’s friends and loved ones react to her disorder. Some stay present and face facts head on while others remain detached and distant. In general, this memoir confronts topics that would be engaging discussion for book clubs or advocate groups. “But My Brain Had Other Ideas: A Memoir of Recovery from Brain Injury” is a story filled with fluid narration and gripping detail. I am thankful for Deb Brandon’s perspective. Although many of us know someone dealing with chronic illness, we sometimes forget that there is a real person underneath the disease. This book puts us inside the mind of a patient, offering an important viewpoint. The author tackles the concepts of fear, empathy and loss. She highlights the hopeless periods when tests, diagnoses and treatment options are tough to focus upon. Yet we also get to experience Brandon’s valiant moments when her level of determination is unflinching. This is a compelling story for all of those affected by a chronic disability and I recommend it wholeheartedly.